Wally Lamb, the beloved #1 New York Times bestselling author of The Hour I First Believed, I Know This Much Is True, and She’s Come Undone, delivers a holiday treat with Wishin’ and Hopin’—an unforgettable novella that captures the warmth and joy of the holiday season. 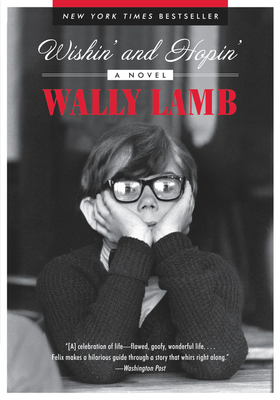 Poignant and hilarious, in a vein similar to Jean Shepherd’s A Christmas Story and David Sedaris’s The Santaland Diaries, Lamb’s Christmas tale focuses on a feisty parochial school fifth grader named Felix Funicello—a distant cousin of the iconic Annette! selections of Oprah’s Book Club. Lamb edited Couldn’t Keep It to Myself and I’ll Fly Away, two volumes of essays from students in his writing workshop at York Correctional Institution, a women’s prison in Connecticut, where he has been a volunteer facilitator for seventeen years.